Group Discussion Ideas > Current Affairs GD Topics > Sabarimala verdict – Progressive OR a threat to traditions? In September 2018, Supreme Court gave verdict in favor of the petitions to stop this discrimination and allowed women of all ages to enter into the Sabarimala temple. This judgement is praised by many and is seen as a progressive step towards gender equality. Ban on women of particular age group is still there because several people are not agreeing to Supreme Court judgement are protesting outside the temple. They opine that Supreme Court judgement on Sabarimala issue is a threat to traditions. The rule of Sabarimala is discriminating women from right of worship and right to equality. ‘Article 14’ of Indian constitution guarantees right to equality. Some other temples also ban women, and some temples ban men. If it is the same situation with Sabarimala, people wouldn’t have bothered about it. But treating menstruation as impure and banning women of reproductive age is regressive and need to address. Menstruation is just a biological process. Not allowing menstruating women in temples sends a wrong message to people and future generations. This situation can be compared with the ban on Dalits from entering into temples until a few years ago. After so much struggle by Dr. B.R.Ambedkar and others, situations have improved. There were many attempts to stop this from happening. For example, in 1932, enquiry committee of Travencore government noted that – Rights of savarnas to keep avarnas out of their temples should be considered. Sabarimala temple is taking funds from government and hence state government has the right to make changes in law for the temple. Who wrote traditions? It’s the people themselves and not god. There is a need to update traditions if they are regressive. There is no scripture to support the argument that women of these particular ages are not allowed to Sabarimala temple. How can some people say that this is a rule as if they own the God? Why everything is seen in a sexual nature? Brahmacharya doesn’t mean women cannot worship god. Brahmacharya means observing celibacy. It doesn’t mean that there shouldn’t be female devotees of reproductive age. Narrow-minded people do not understand the difference between devotion and sexual attraction. Former top bureaucrat T K A Nair mentioned that before 1940s, women used to enter sabarimala. He told that His mother visited the temple when he was months old. If it is true, this rule was a recently added one and not an age-old one. Perhaps the rule was put as there will be hygiene issues for menstruating women. But now, with the advanced facilities available, there are no such issues. Just like everyone else, God too has rights. Not allowing women of particular ages is essential and integral nexus to the celibate nature of the very Deity of the Temple. Other temples of Ayyappa swamy allows everyone. But the deity in Sabarimala temple follows the concept of eternal celibacy. And hence, he wants to maintain distance from the opposite gender. Some temples ban men too. That doesn’t mean they are discriminatory in nature. Every temple has its own story and that needs to be respected. It is very important to consider the emotions of the people involved when the traditions need to be updated. Long time devotees and temple trust are opposing the Supreme court verdict. India is a land of diversity. We should embrace and respect all cultures and traditions of all communities. If this particular section of people have their own customs, we need to respect that. There is a story in a book that a Goddess asked Ayyappa to marry her. But he told her that he is a Brahmachari and would marry her when no first-time visitor (kanni Ayyappa) comes to the Sabarimala Temple. But he allowed her to reside nearby, now known as the Malikapurathamma Temple. It is believed that to respect the interests of the waiting bride, women of marriageable age do not enter the shrine. We cannot really compare Dalits’ temple ban issue with Sabarimala issue because, Dalits were not allowed to many temples. But here women are banned from entering into only one temple and that too because God here is a celibate. In 1991, Kerala High Court received similar petitions, and it gave judgement that restriction was in accordance with a usage from time immemorial and not discriminatory under the Constitution. There is a need to consider this judgement as they would have studied the issue in-depth. It is our responsibility to work towards the betterment of the cultural norms and traditions in order to promote equality and democratic values. Traditions are written by people and not god. It is not okay to follow traditions blindly. Instead we should question and discuss the cultural norms and work towards the improvement in them. If the Supreme court verdict is respected and followed, it will be first step towards eliminating gender discriminatory practices in all religions of India. What is your opinion on Sabarimala verdict? Express your thoughts in the comment section below. Subscribe to our blog to get notifications whenever a new post is published. 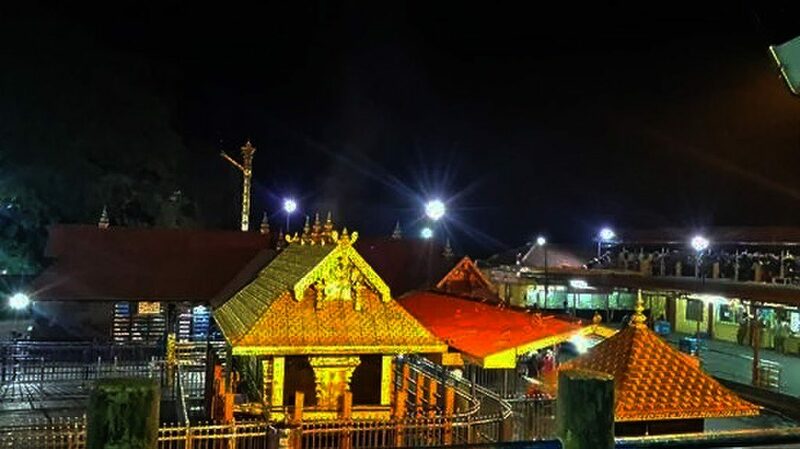 I agree with the term that women should not enter temple at the time of there menstrual period just because this custom has been followed from decades..nd according to me no women will.But not allowing from 10 to 50 age will be not valid…because women worships at different temple..so why not sabrimala temple, I’ll go with sc. I beg your pardon,but we are the one who has made traditions.They can be changed. Restriction is not bcz of biological process but bcz of sensitivity which this temple have with it. A true deity will always respect the customs which perceived that there are some immortal soul which already waiting. women now can’t surpass them this is one of the story which is associated with this temple. If it is true then there is no reason women should be allowed. There are other temples also.why can’t women worship there since the lord is same. This shows stubborness of some people to go against the traditions . There are certain ethics which are to be followed, man are not allowed in girls hostel this is not a discrimination, is it? According to me Article 14 is not the only touchstone to test the religious custom & practices and Article 25 gives us freedom to religion that we are free to practice our religion. And if we talking about equality ,there are many temples where mens are not allowed & they don’t have any problem.ln the same state their are many temples of lord ayyappa where he doesn’t manifest himself as a celibate but no one’s wants to go their ? And the biggest irony is Out of five judges, one who against this verdict was Indu malhotra a female judge. Yes article 25 give us power to practice religion and that’s also one of the reason that women should allow to practice there religion in sabrimala temple. Even the protesters against sc verdict includes many women that doesn’t make a sense that if women are against verdict than they should not be allowed to enter. Can you pls mention which Ayyappa temple u r talking about where he doesn’t manifest himself a celibate and women are allowed there. Well Discrimination on the basis of gender is a wrong practice. It is a violation of Right of equality according to our constitution. Specifically Banning the women age group 10 50 shows that they are considering the women reproductive age as a hygiene thing but we all know that this is the biological process and Now a days good facilities are available to keep themself clean. So No one has right to ban women from entering into the temple. If women want to enter in temple then they must be allowed . We should respect supreme court order. Minor correction, It’s “Celibacy” not celebicy. If we look at the fundamenta rights given in the constitution and issues related with sabarimala the it is the violative of articles 14 & 15.amd we can’t and should not discriminate just because of menstrual cycle. The verdict came in 4:1 where they argue that it is violative of basic structure of the constitution. One member of bench Justice Indira singh argued that ruling is violative of traditions of the deities. She is right and one way can be adopted so that female in the age group of 10-50 Can worship and enter into sabarimala campus by allowing them to worship and enter into the campus when they are not in menstrual period. In this way objectives of both the groups can be achieved. It means that you are supporting a concept which states manstural period makes women impure. Women today take many precautions which put them away from unhygienic condition. Sabriamala issue is a foundation stone regarding the right to equality for women in the state of kerla . The banch of SC judges opposed this traditional style of tample so , it became a plateform for the women to worship. Moreover, it led them to understand their freedom to do such things . so I think it is a progressive step to give the honour, respect , equality to the mothers of our country …. it’s tradition womann cannot enter there .But people made the rules not God. As per Hindu religion woman has desire to go to temple and offer God so it should be rectified and authority should obey the supreme court verdict. In my opinion, ban on menstruating women and stopping them from worshipping is truly unfair i totally disagree on this narrow minded people please open your eyes its just a biological process ,there is no insult of god. I truly agree that discrimination on the basis of gender is unfair. But Sabrimala is a completely different case all together. Here it being more than a case of gender inequality, its a matter of belief. Why would an individual (men or women) visit a temple? It’s their belief in God which pulls them to the temple to follow their belief. People who wants to enter the temple have nothing to do with their respect and belief in god, more so it is about satisfying the egos and proving a point. Menstruation is no doubt a biological process, but God is not? God is an ‘idea’. If one believes in this idea of God, he or she also should accept and respect the beliefs related to the deity and associated traditions. Let’s not confuse biologics and spirituality, both are based on a different foundation and hide the argument behind the caption of article 14 and fundamental rights. This kind of issue unnecessarily gives an agenda to non-sense politics which should not be appreciated as it does not good and only creates a divide in the society. I agree with sabrimala verdict.. Customs nd traditions should be updated if they are violating rights of an individual .